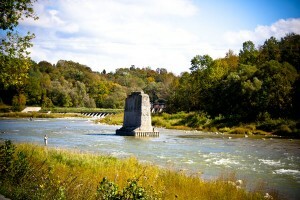 Each year, the Denny’s Dam Park on the Saugeen River operates from April 1 to November 30; river conditions permitting. The Denny’s Dam Park is located steps from the Saugeen River near Southampton and Port Elgin (Saugeen Shores), Ontario and provides outdoor enthusiasts such as fisherman, hikers and paddlers with small boats and rafts; such as canoes or kayaks, access to the Saugeen River. Fish for steelhead rainbow trout, salmon, brown trout, smallmouth bass, muskie, catfish, walleye, and more. Park your vehicle in a safe and friendly environment while enjoying access to park facilities such as picnic tables and washroom facilities. Stay for the day or pitch a tent for couple of days and experience Saugeen River and its beauty. Note: Fishing above the south side of old bridge abutments is prohibited by the Ministry of Natural Resources (steelhead rainbow trout/salmon) fishing regulations during the winter months between January 1 and the last Saturday in April. Additionally, night fishing above the south side of the bridge abutments up to the dam is closed for the entire month of October for salmon spawning. In 1996, The Saugeen Valley Conservation Authority announced that Denny’s Dam Park would be closed to the public due to financial constraints. The possibility existed that the park may even be sold. The Ontario Steelheaders approached the Authority with an offer to lease the Park to ensure continuing access for all resource users. This resulted in an annual financial commitment to the Ontario Steelheaders in excess of $8,000.00. Costs include the lease, insurance, maintenance of the washroom facilities, garbage disposal, grass cutting and signage. Any modest fees charged within the park go to securing park access for future years to come. The Denny’s Dam Park is located on the steps from the Saugeen River just below Denny’s Dam outside Southampton Ontario. We offer safe, secure parking available for vehicles on a day basis and accommodate portage for small watercraft such as drift boats, rafts and kayaks or canoes (portage only; under 16ft). * Please deposit parking fees in pay box located in parking lot. Visit park office to acquire a yearly pass. Overnight camping is permitted and available on a first come, first served basis. 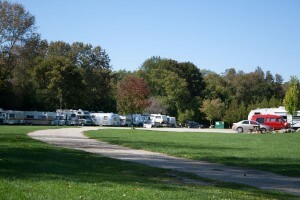 A section of the park is reserved for temporary (short term) camping. * You must bring your own power and water sources when camping at the park. * Washroom facilities are available for all park guests. 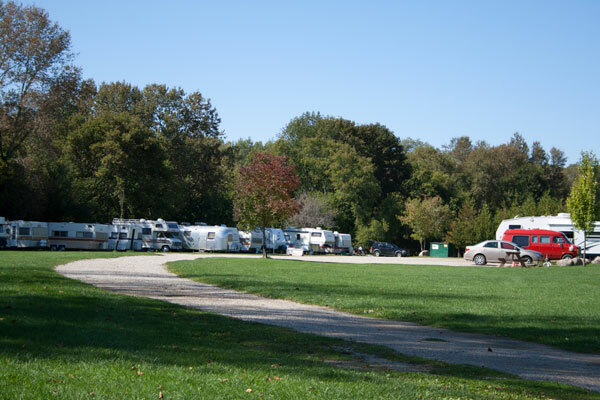 Currently, seasonal space is limited and there is a waiting list for seasonal camping. Please inquire at the office. Access to the Denny’s Dam Park is located minutes off of Hwy. 21 just north of Southampton, Ontario. For additional information please visit Denny’s Park Project page hosted by the Saugeen Valley Conservation Authority.